Jakari Griffith- researcher and teacher on diversity, positive psychology, and leadership. Jakari Griffith is an experienced researcher in the areas of diversity, positive psychology, and leadership. He is an author to a number of peer-reviewed articles that examine key psychological states that "enable" employee development in terms of positive emotional states individuals may have to achieve in order to meet modern expectations of employment. 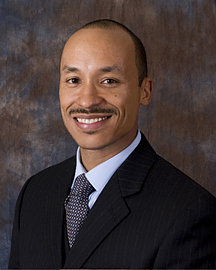 For example, Jakari Griffith's research on "Learning motivation and the transfer of human capital development" and "Ethnic identity and job attribute preferences" uniquely addresses the role of positive psychological states implicit in contemporary perspectives regarding employee development. His recent work has been featured in world-recognized journals such as Human Resource Development Review and Journal of Leadership and Organizational Studies. Jakari has presented at numerous academic conferences including the Academy of Management, International Association of Conflict Management, and the Academy of International Business. Jakari Griffith is also a sought after speaker on minority student success initiatives such as the Ronald E. McNair Program and KPMG's Ph.D. Project. He has also served on the board of the Management Faculty of Color and is the lead organizer for Boston's Historically Black College and University meetup group that participates in volunteer opportunities in the surrounding community. Jakari Griffith takes a real world approach to classroom room instruction as evidenced by collaborative partnerships with the Make-A-Wish Foundation of Massachusetts and Rhode Island and the Aviv Centers for Living, managed by CEO Stephen H. Neff. He is an energetic teacher who believes in "full student development," which means that the students' whole self must be considered in order to construct a concrete set of experiences that facilitate classroom learning. Students seem to appreciate this approach to course instruction as evidenced by rankings on the popular teaching site RateMyProfessor. To build out his expertise, he will be attending the OBTC Teaching Conference for Management Educators in June 2013. Jakari Griffith does his part to reduce carbon emissions via bicycle advocacy and bicycle commuting. He has participated in the New York City TD Five Boro Bicycle Tour for years 2011 and 2012. Jakari and his touring partner, Kevan Malone, also completed a 1,300-mile bicycle journey from New York City, NY to Ocala, FL in eighteen days. The pair rode an average of 65 miles per day to raise awareness for bicycles as a form of transportation (see trip map here). He shares his enthusiasm for bicylcing with family, friends, students, and colleagues. Jakari loves family, good friends, jazz music, travel, nature, and the sound of bullfrogs. He is also cultivating an interest in photography. Nature, Jazz, Friends, Museums, Outdoors Stuff, Volunteering, and Family.